I replaced the MT4 rubber mounts on my XS Monowheel last January. Now I see that the engine is sagging (2 degree pitch down measured at the propeller flange). This clearly comes from the new rubber mounts (purchased from Europa) which are softer than the originals (supplied with the kit back in 1999) . Has anyone experienced a similar problem? Is anyone aware of a modification regarding the characteristics and/or installation of the rubber mounts between 1999 and now ? 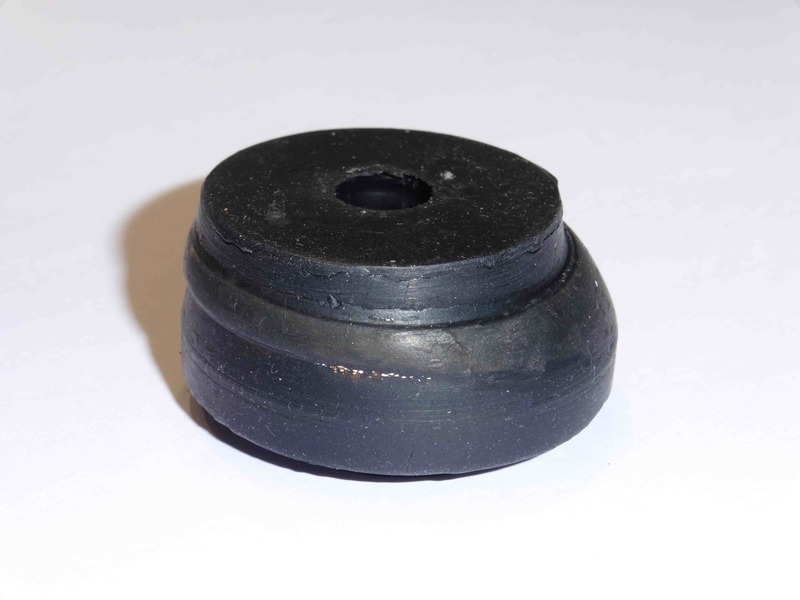 I replaced the rubber mounts on my Classic Mono in May after 2,200 hours and have now put 100 hours on these new rubbers and I am pleased to say that there is no sagging evident at all so far. Incidentally, I used new rubber mounts bought from Europa a few weeks before. Thanks Dave for the information. 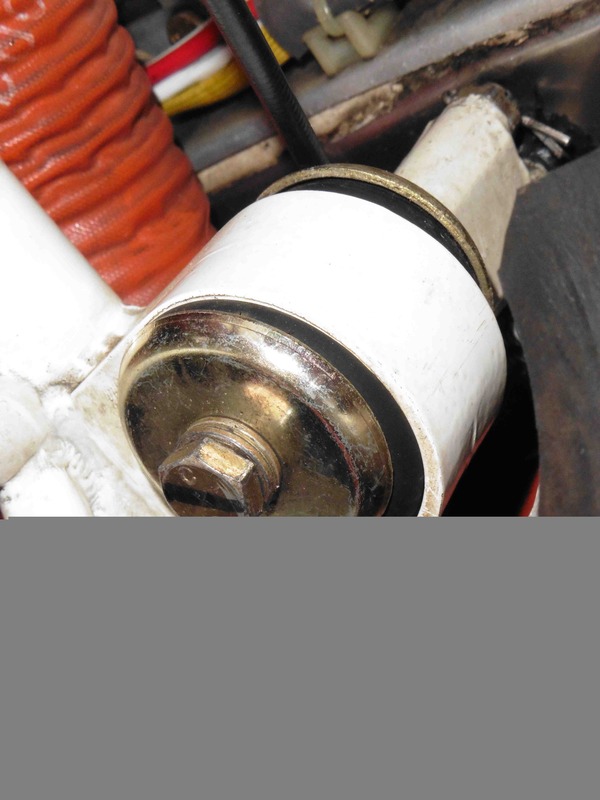 I investigated further and found there were a change in 2003 regarding the spacers and bolts length. 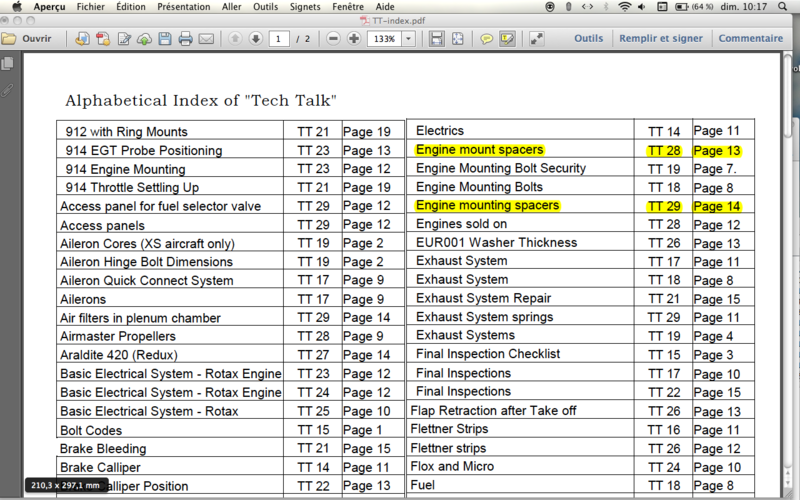 There should be some details about that in Factory Tech Talk number 28 and 29 (see attached index) . I searched for those issues on both Europa Aircraft and The Europa club websites and could not find them. Could any one provide the relevant pages from those issues of Tech Talk? Attached are the relevant pages of Tech Talk 28 and 29. I have attached copies of both so you can see the full story for yourself. Thank you Alfred and Kingsley for those docs. Kingsley, sure I remember meeting with you at the LAA Rally a few years ago. I hope you are well. Yesterday I started to remove stuff from the engine compartment with the intention of compensating the sagging using washers to shim the engine mounts. What I saw was worse than expected. See attached pictures. Obviously the new rubber mounts are a lot softer than the old ones. I am even wondering if such a configuration is airworthy and I am looking for advice on that point. Now what to do? The best would be to replace the rubber mount by the right ones. I questioned Europa-Swift: they keep saying the supplied rubbers are the same as before, so I do not expect a solution from this side. 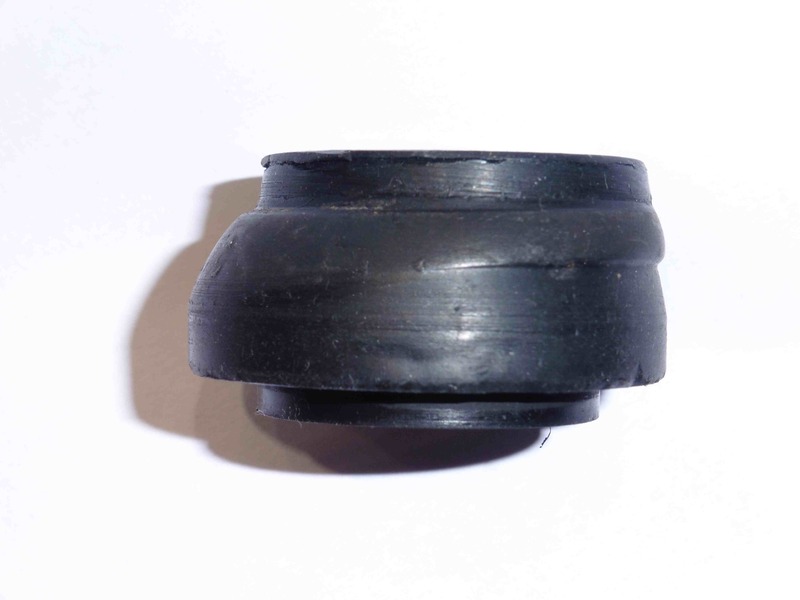 Buying direct from their supplier: does anyone know the supplier name and part number of those rubber mounts? You show quite a bit more rubber sticking out either side than I see on mine, are you sure the outer large washers are fully clamped between the spacers? The rubber mounts don't seem fully compressed. Yes Martin, the rubber mounts are fully compressed. I have done further investigation today. 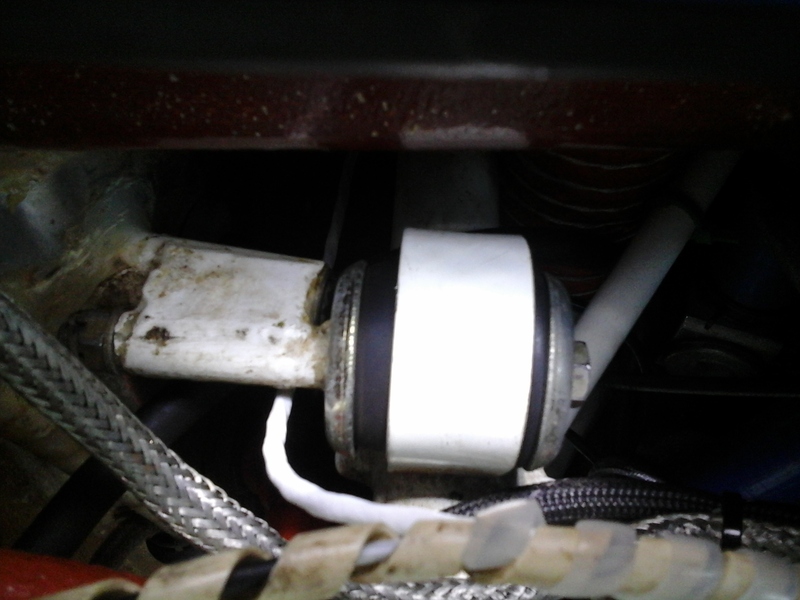 I hoisted the engine and surprisingly the rubber mounts did not come back to their symetrical position. Obviously there is a problem with the material (not completely cured?) which leads to a permanent deformation. I will probably re-install the original rubbers which are in very good shape, a lot better after 16 years and 1400 flight hours than the new ones after 10 months/80 hours. After your eMail this morning with the photos of your rubbers you had me worried. So when I got to the aerodrome this morning I straight away checked mine, which you will recall I replaced with new in May. First off my spinner is in exactly the right position, so looking good. Next I removed the cowling and I could see that my rubbers are exactly as they should be. Phew!!!! I'm sorry that this doesn't shed any light on your problem though. I just put in a new set on a plane within 12 months and of course made sure the bolts were pulled up and the spacers were properly seated. No sag on the next annual. Go figure. Your landing gear mount and the engine mount are both square aren't they? One photo seemed to be out of alignment. 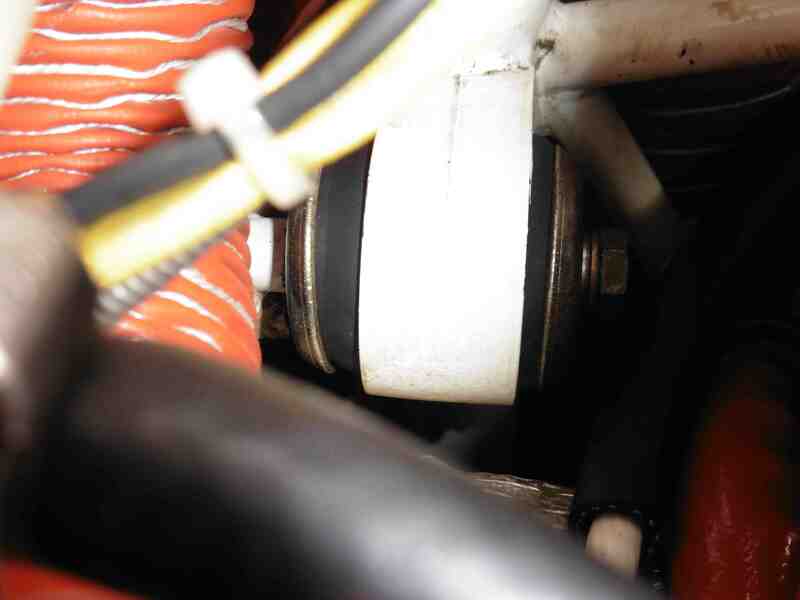 As you are well aware, the rubber gap when torqued up should be even front to back and all four should be the same. Check the rubbers when you swap them out and look for a defect. Sounds like a plan, definitely send them back to Europa for examination. Today I removed those bloody rubber mounts. The attached pictures of one of them show how much they are damaged and out of center. They all are more or less like that. I will return them to Europa for investigation. I re-installed the 16 year old ones (which by comparison are like new) and the engine is back to its normal position. I agree with you - there is definitely a problem with some of the MT4s supplied by Europa recently. My mounts fitted in June 2015 have exactly the same problem as yours and I have had to re-shim the mountings which, as you know, is a heck of a job. Although I managed to restore the spinner to cowl alignment it's evident that the engine is continuing to sag on its mounts and the MT4s will probably have to be replaced in the not too distant future. The comments on the forum about spacer lengths didn't apply to mine, I have the correct spacer and bolt length - of course the bolts are fully tightened to compress the end caps onto the spacers. 2. Maybe they haven't replaced theirs recently (which is tempting because it is a heck of a chore every 5 years). 4. Only you and I have been unlucky to receive 2 separate rogue sets. (Unlikely). 5. They've removed the spacers or shortened them further (unlikely). I wonder if anyone on the forum any knowledge of the supplier for these mounts? In any case I have e-mailed Karen to let her know that I too have experienced exactly the same problem as you. I have asked her if she could investigate if their stock has the correct stiffness and I await her reply. It's going to be important to resolve this because there's no point in ordering new MT4s until we know they are OK and it could lead to the aircraft being grounded in due course. 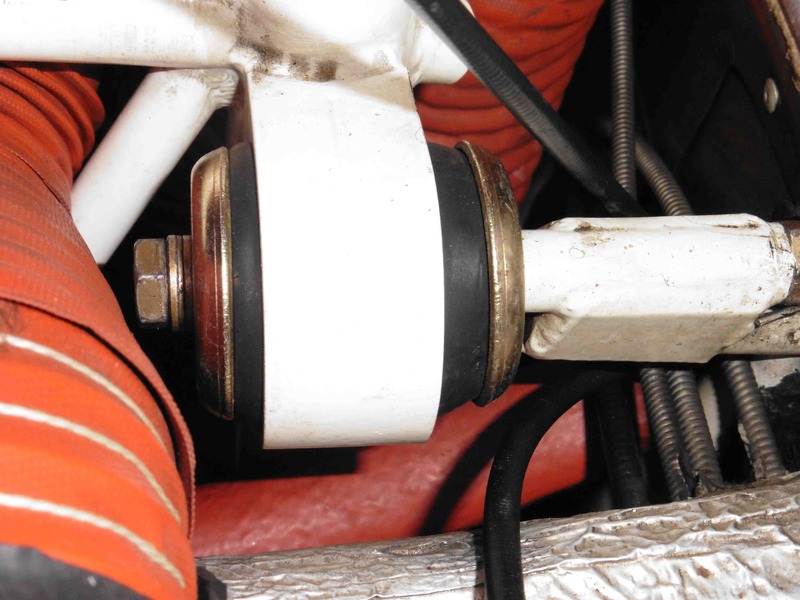 As I will be purchasing some Rotax mounts in the near future I would be interested to know if the problem with the Europa supplied ones has been solved? Otherwise it might be safer to go elsewhere! Karen has responded very positively and is taking the issue up with the suppliers. Meanwhile she's sent me some replacement MT4s which do appear to be harder than the ones I received last year but I haven't had chance to fit them yet. Hopefully the problem will be resolved soon - it's probably better to involve Europa because they are trying to provide a good service for us and we need to give them the business - I dread to think how difficult it would be if we were to have to trace down original suppliers and maybe get the wrong part. E.g. Andy Draper informed us that the Europa mounts weren't standard Lord mounts but used a harder rubber compound - so it's unlikely that you'd get the correct parts as standard? I would not trust the quality of any new MT4 supplied by Europa until the problem I experienced is fully understood, explained and corrected. I returned my weak MT4 to Europa you so that they can be analyzed. I hope to receive a report on the subject, but nothing up to now, except that Karen told me that harder MT4 have been shipped to me. You cannot either purchase those parts elsewere as the MT4 are non standard -harder-parts made especially for the Europa. This is due to the distance between the rubber mounts and the engine which causes the MT4 to carry an unusually high load. At this time, I do consider the only way is to stay with the old original MT4s. I seem to have the same problem as Remi but even worse. I've purchased my rubber mounts from Europa in 2012. I'm also considering to reinstall the old ones - odd enough! Still no news from Europa on that subject. They keep saying they are investigating the issue with their supplier. In the meantime I have received a set of mounts which seem to be of the same hardness as the original ones.